For this recipe I made four plain ones and then for the rest I added Rosemary and Lavender to match some other stuff I’ve made recently. In a double boiler heat all ingredients except for the vitamin E. Once completely melted remove from heat, add vitamin E and mix, pour immediately because it will harden as it cools in the same manner as wax. You can place the mix back on the double boiler if necessary but try not to do this beyond topping off tubes. I use an extremely small pan and a pyrex measuring cup, the pour spout is quite essential in doing this quick and accurately. If you are pouring into tubes fill them about 90-95% full on the first pour, let them cool slightly until nearly opaque, then pour the last 5%. If you so not do this you will have a mark in the middle from the stem in the middle causing the balm to cool at a different rate. If you over pour then just use a paper towel to carefully wipe away the extra after it’s completely cooled. If you would like to add a flavor or essential oil be sure that is lip safe, food grade, does not contain any water and known to be used in lip balms regularly with lots of examples and some research. You can use some essential oils and others are not safe, some are safe if used carefully, things like peppermint and citrus have to be used with extreme care due to irritation. I used only 4 drops of each essential oil. for this entire recipe minus four tubes. Honey doesn’t really mix with oil and will clump into a ball. If you want to add colorant, again you must find food grade lip safe colorants without other unnecessary ingedients. I have seen people use cool-aid and crayon, I don’t recommend using things like. You can however use a portion of a lip stick, melt that in when you start off. There is a wide range of lip safe colorants and flavors online to order. You can substitute candelilla wax with bees wax… but I encourage trying out some plant based waxes if you have the means to. My hobbies have grown so my project list needs categories now, here’s what I’ve got in the works, who knows what I will get to, I should have some free time in a few weeks. Idea: I made a lot of soap last year, I have isolated my favorites and will be recreating some variation of them. All of my soap sold or was given away last year so I only have the newer two that I made in November that were curing at the time I ran out. This is meant to be as a set for holiday presents but it didn’t happen. I will be infusing the black tea into the oils. I might make these with Black Tea Infused Oil as well. I’m an extreme beginner, I still cant sew a straight line or understand some terms and instructions. The seam ripper is my best friend and I keep stabbing myself with pins and burning myself on the iron… but I have determination. I came across some lockets from a steampunk jewelry making collection at a craft store and I got the idea to make solid perfume with an all purpose balm recipe of mine. Since a little goes a long way reduced the recipe down to an amount suited for personal use. Melt all ingredients together except the Vitamin E. Add that after everything else is melted and mixed and you’ve removed your mix from the heat. Then you can adapt from here to tailor it to be a hand or lip balm in this case I am making a solid perfume and a lip balm. Use the base recipe above, once everything is mixed together add the following. Make sure you are using a locket that has been cleaned well and wiped down with alcohol. Be prepared with containers or other lockets for the excess you can use. seashells or bottle caps, be creative. The base recipe is the same essentially. Doubled the recipe from above which filled the locket and 4 lip balm tubes. However I did replace sweet almond oil with avocado oil in the recipe. 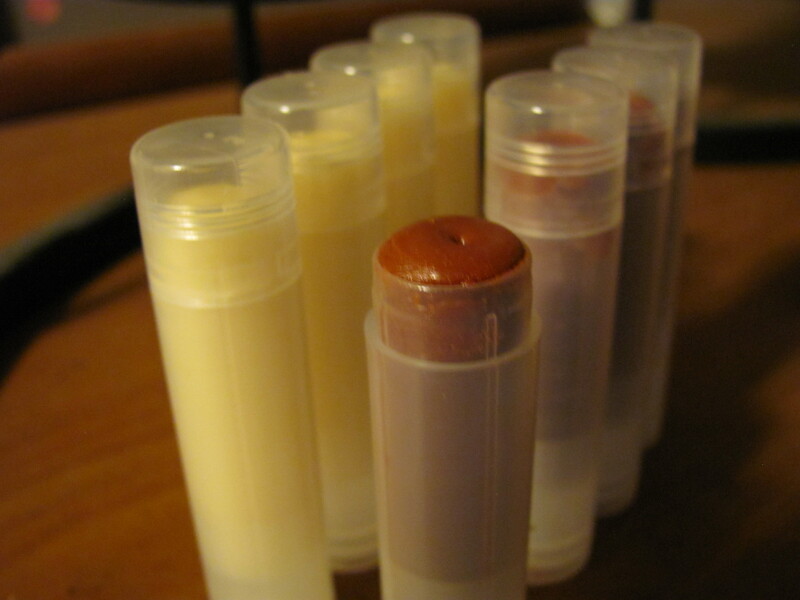 Everything for lip balm must be checked to see that it is lip safe. 1-3 drops lips safe essential oil Use essential oils are very powerful so double check the safety for lip balm use and you wouldn’t want to add more than a few drops.